Chances are you’ve seen or heard about Ana-Alecia Ayala’s story by now. She’s the Dallas mother diagnosed with a rare form of cancer who recorded herself dancing to ‘Juju on That Beat’ during a chemotherapy session in the Baylor T. Boone Pickens Cancer Hospital at Baylor University Medical Center at Dallas. The video of Ana-Alecia dancing with a friend went viral, which has already been seen by millions. While her dance moves made people smile, it’s her attitude that has already inspired so many. 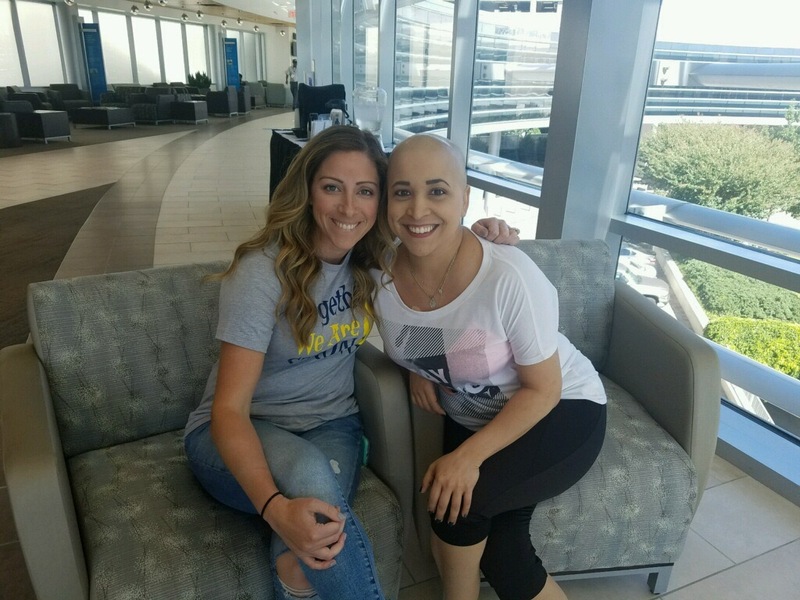 Baylor Scott & White Health patient Ana-Alecia Ayala and friend Danielle Andrus photographed in Baylor T. Boone Pickens Cancer Hospital in Dallas, Texas. Her message was simple, “there is life after a diagnosis,” she told Ellen. The show also threw in a big surprise to help cover some of her medical costs. Take a look. Learn more about cancer care services at Baylor Scott & White Health.